From the moment they meet, Syn Shabaka pushes Lana’s buttons. He is the first person she’s ever met who is immune to her gift, and the first person to offer her a way to be with other gifted people like her. The offer tempts her, but fear that he will discover the truth about her adopted family keeps her from accepting. Lana has already lost one set of parents, and she refuses to lose another. As sparks fly between the pair, Lana must decide what is important, keeping her family safe or finding her happiness. An awesome add to the runes series. I'm addicted. You can read as a stand alone but best to read the whole series. I'm so fascinated by Ednah and her writing style. It's unique and so well written. I could read her books over and over without getting tired of them. They only get better. Another incredible read. Ednah did it again!!!! Another great book! Fall in love with Lana and Syn. Highly recommend!!!! 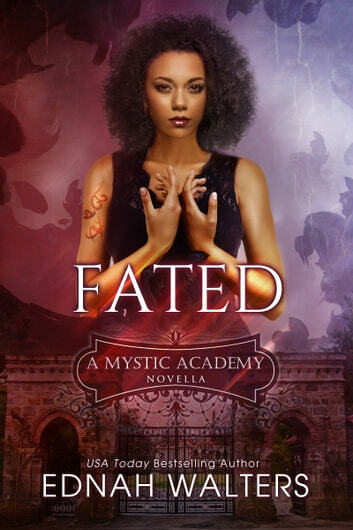 I just loved this first part of A Mystic Academy Novella so much! 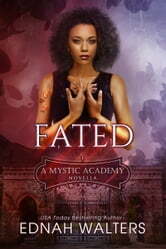 I love and cherish all Runes series books and this is a spin of and it started perfectly with Fated! I'm in love with Ednah's beautiful mind and creativity and can not wait for another part! I'm glad we get to know Syn more and we are getting new characters to love too!Lana is sweet but full of fire too which is my favourite type of heroine! Lana is an amazing character. She is the big sister of 3 siblings. He adoptive parents have left so she is left in charge of bills, groceries, and housekeeping. Syn is a grimnir he is seeking all immortals so they can go to mystic academy. When Syn finds Lana thing turn she learns immortal, Valkryies, and grimnirs can be friends. So did her parents lie? I loved this book it was so hard to but it down. If you loved the runes series you will love this book! Love this novella! A great spinoff of the Runes series.